71 feet of lakefront and beautiful views! Large yard. 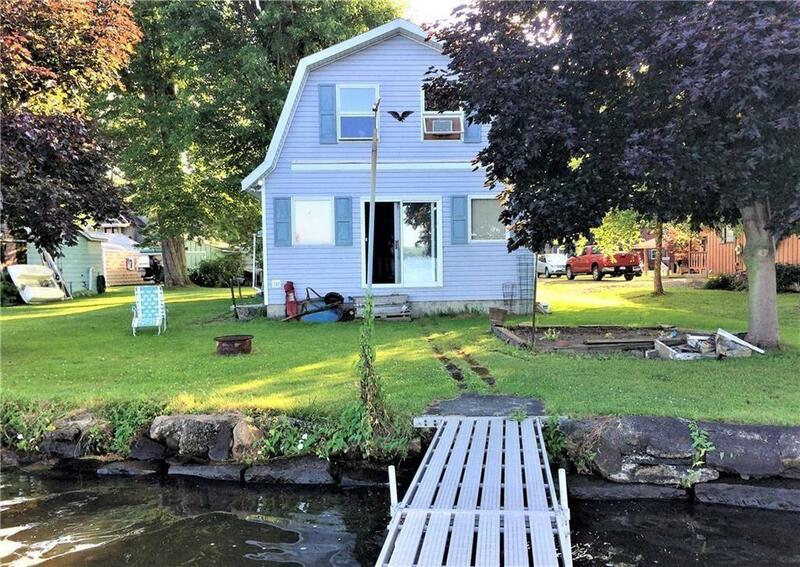 This year-round 3 bedroom lakefront has rare 2 parcels! Aluminum dock and a cement boat ramp right in your own backyard. Washer, dryer, refrigerator and BRAND NEW stove included. Block construction and crawlspace have been added. Andersen windows, NEW flooring in laundry and entryway. NEW furnace/central air. Updated electric amp and wiring all through the home. 2 large bedrooms with walk-in closets upstairs. First-floor bedroom, full bath with brand new water-saving appliances, and first-floor laundry. Could easily turn the hall closet upstairs into a bathroom. 13 x 26 ft double height metal outbuilding to store your RV, Pontoon boat, or vehicle. There is a park right around the corner of this lovely lakefront. Shopping and restaurants just minutes away. Very quiet and friendly neighborhood to see yourself living in! Directions To Property: Take Lakeside Dr Or Vukote Off Of 394.